“I just think it’s important to send a message that people shouldn’t be victimized and throw up their hands and think there’s nothing they can do and they’re powerless,” Attkisson said in an interview. In the lawsuit and related claims against the Postal Service, filed in Washington, Attkisson says the intruders installed and periodically refreshed software to steal data and obtain passwords on her home and work computers. She also charges that the hackers monitored her audio using a Skype account. The award-winning reporter says she and her attorneys have “pretty good evidence” that these efforts were “connected” to the Justice Department. She said she was caught in a “Catch-22,” forcing her to use the lawsuit and an administrative complaint to discover more about the surveillance through the discovery process and to learn the identities of the “John Does” named in the complaints. Based on the current track record of holding anyone in the Obama Administration responsible for abuses of power or dereliction of duty, it’s not looking too good, but why not let Sharyl Attkisson take a whack at it? As she alluded in her comments above, this lawsuit is intended as an extension of her long Freedom of Information Act battle with the Most Transparent Administration In History, with which conservative watchdog group Judicial Watch assisting her. Attkisson and Judicial Watch filed a FOIA lawsuit in the District of Columbia to obtain records pertaining to the Justice Department’s investigation of her. “We are proud to represent Sharyl Attkisson, an independent journalist, who has a demonstrated track record of refusing to play the Washington media insiders’ game that covers up or covers over public corruption stories such as Fast and Furious,” said Judicial Watch president Tom Fitton. Fitton refers to the astonishingly under-reported scandal in which American guns were deliberately pushed across the border by the Obama Administration for the ostensible purpose of tracing the weapons to drug cartels and taking down the bosses… except without any effort whatsoever in the “tracing the weapons” part of the plan. The program was abruptly shut down after it led to the death of U.S. Border Patrol Agent Brian Terry. It’s a story President Obama didn’t want his friends in the press to dig into, so the vast majority of them didn’t, even though it ultimately led to the historic congressional censure of Attorney General Eric Holder. 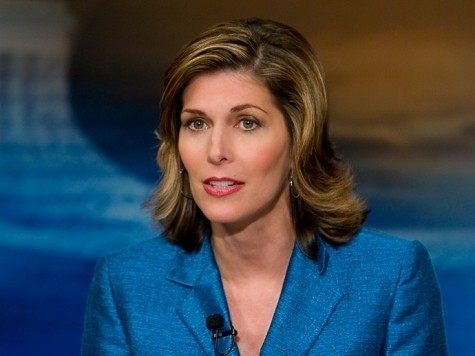 A previous FOIA adventure by Attkisson and Judicial Watch uncovered emails in which AG Holder’s top press aide described her as “out of control” to White House Deputy Press Secretary Eric Schultz and discussed getting in touch with her editors at CBS News, along with senior on-air personality Bob Scheiffer of Face the Nation, to put pressure on the intrepid reporter. This behind-the-scenes Administration/media freak-out was prompted by Attkisson investigating Operation Fast and Furious — the rest of the media was easily convinced Fast and Furious wasn’t a big story. That’s standard Obama scandal procedure in a nutshell: drag everything out, fight endless court battles at taxpayer expense, and bank on friendly media to refrain from making a big fuss about their obfuscation tactics. Pretty much any scandal can be strangled, provided the media looks the other way and whistles tunelessly while their favorite politicians get a good, firm grip on its windpipe. The public doesn’t get outraged about the stories it never hears. With her own major lawsuit under way, Attkisson can now use the legal discovery process to chip through the Administration’s stone wall. Things might even get interesting enough to draw some attention from the rest of our “investigative media,” assuming they can pry themselves away from pictures of Sarah Palin’s child standing on a dog.